The Oak Toad is the smallest toad in North America, not even reaching 2 inches when it is fully grown. They are also interesting in the fact that they are mostly diurnal, active during the day, while most true toads in North America are nocturnal, active during the night. Breeding takes place from April to September, depending on the arrival of the heavy, warm rains. The mating call of the males sound like baby chickens. While the Oak Toad is small, the female can lay up to 700 eggs. Tadpoles hatch from their eggs in a day and fully undergo metamorphosis in a month or two. The Great Crested Newt is named after the crested that males grow during breeding season. Breeding takes place during the spring to summer when the newts wake up from their hibernation. The newts move back to the ponds where they hatched to breed. Females lay around 200 eggs during a breeding season. After breeding, the newts move back to land and the males lose their crests. They are often found under rocks and logs. While the Great Crested Newt is listed as least concern by the International Union for the Conservation of Nature (IUCN), their populations are declining fast. 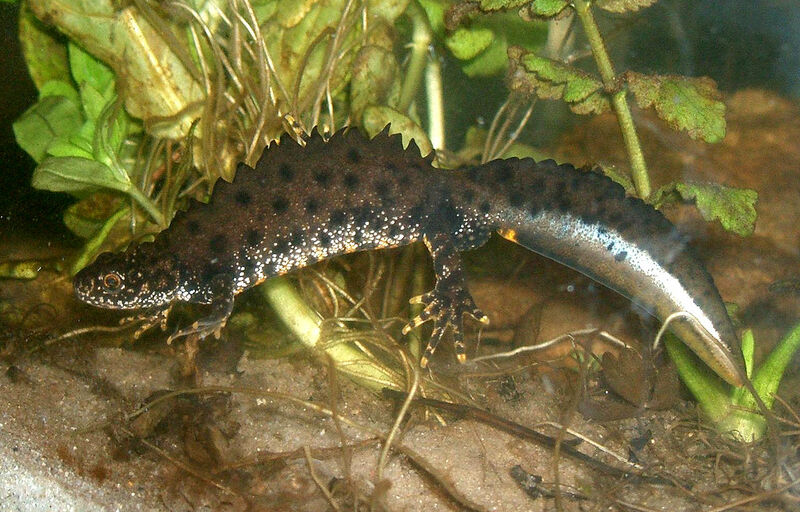 The European Union has listed the Great Crested Newt as the protected species to help save them. The main reason for their decline is believed to be habitat loss due to development for urban areas.